After 40 years of obscurity, Lyn Christopher’s 1973 debut release on Paramount Records is once again available through Universal Music. 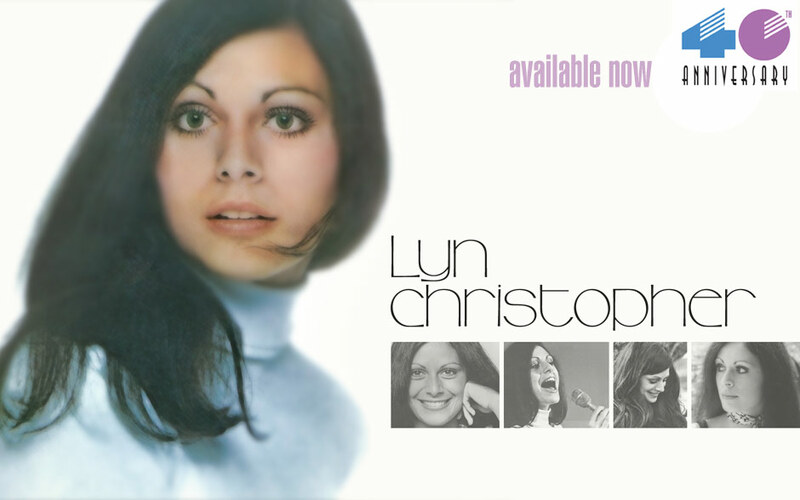 The Lyn Christopher album contains 11 classic tracks showcasing Lyn’s sultry and iconic vocals that reflect the mood of early 70’s pop and soul optimism. Unfortunately, her debut found itself out of print after Paramount’s demise only months after the album’s original release. Believed that the master tapes were all but lost, the album never had the opportunity to cross over into the digital realm, not to CD nor MP3. This album marks the first ever appearance of KISS’s Gene Simmons and Paul Stanley on a major release as they lend their background vocals on the tracks “Celebrate II” and “Wedding”. Another KISS member, drummer, Peter Criss, also lent a hand in the form of hand claps on “Celebrate II”. The Lyn Christopher album also showcases the single, “Take Me With You,” a track which has seen a resurgence celebrated in a sample on LL Cool J and 50 Cent’s 2008 single, “Feel My Heartbeat”. “Take Me With You” was also recently sampled in 2013’s “Favorite Rap Stars” by Mobb Deep’s Havoc, featuring Raekwon and Styles P.
Lyn Christopher fans, KISS fans, LL Cool J and 50 Cent fans, as well as fans of Havoc, can download the full Lyn Christopher debut everywhere today. AVAILABLE NOW ON iTUNES. To celebrate the 40th Anniversary of the Lyn Christopher album, you can now download it from iTunes and most major online retailers.